Our slow-cooked brisket, an oven-roasted rotisserie chicken, potato latkes, and our bright and festive side dishes will have your guests taking second—or third—helpings. Of course, we’ve got dessert covered too, with a wide assortment of treats from local bakeries, like Lilly’s Bake Shoppe, Schick’s Bakery, Las Delicias Patisserie, and Divine Chocolate. 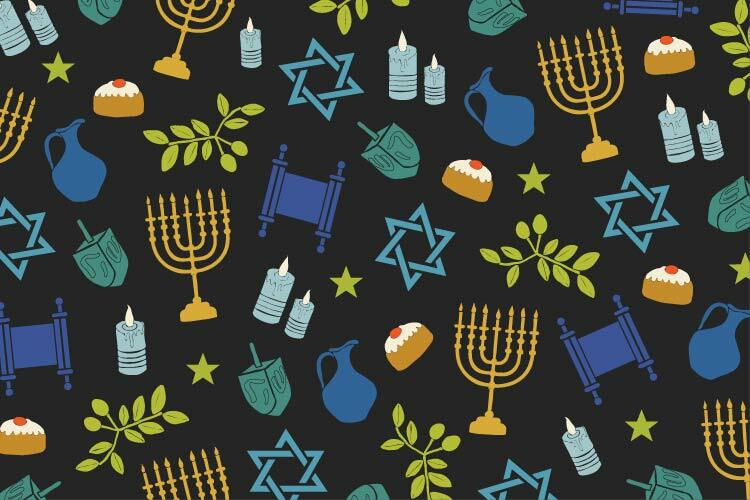 Scroll down to see everything we’ll be featuring on our menu this Hanukkah. And if you’re cooking up your own feast, not to worry! Our aisles are piled high with essential holiday items, baking supplies, specialty products, and decadent seasonal indulgences, like oysters and caviar. So while you’re at it, why not make Union Market your one-stop shop for Hanukkah, and give your food-loving family and friends a Union Market gift card or one of our custom-made gift baskets. Happy Hanukkah from all of us at Union Market!